Brrr, it was so cold to take todays outfit photos outside, but I think it is so nice with snow! Ahh it looks cold! Well worth it though, the lighting is great. 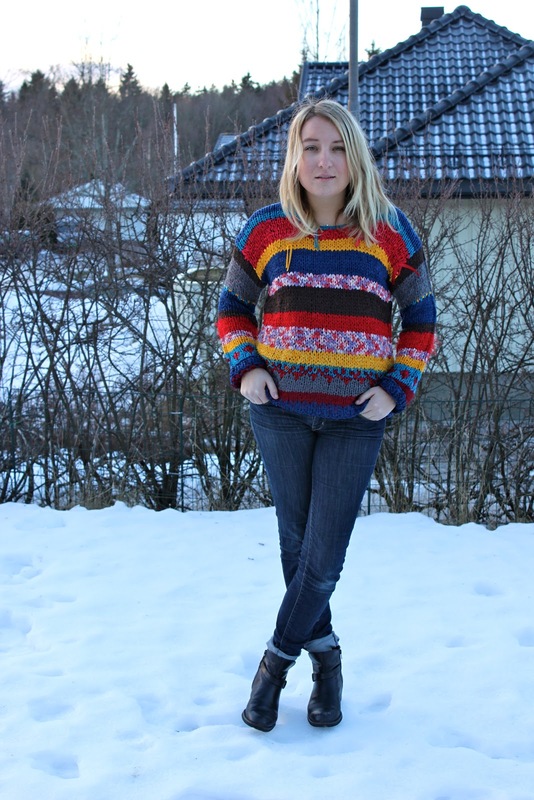 Nice pics in the snow :) love your sweater ! The sweater looks colorful. Love the look!!! Check out my blog too sometime dear!